At Fernandes Orthodontics, everything we do is focused on you. Your treatment goals, unique needs, and specific concerns are important to us. We promise you’ll always be treated gently, professionally, and respectfully by Dr. Richard Fernandes and our team members. Our practice believes in caring for our patients as we would care for a member of our family, and we start by learning about your smile dreams and lifestyle. Only by getting to know you can we identify the treatment options that are right for your situation. Rather than applying a single course of treatment for every patient, Dr. Fernandes will partner with you to find the solutions that work with your life. We believe all aspects of orthodontic treatment should be pleasant. You’re transforming your smile and your life, and we want you to enjoy that journey. We’ve created a welcoming environment where you’ll be surrounded by friendly smiles and lots of laughter. Our team members are passionate about building friendships with our patients, sharing stories, and getting to know each person. You will never be another number on a chart to any of us. You’ll always be greeted by name, and we’ll remember details about your life and interests. We want to hear about your adventures and dreams, and celebrate your achievements. 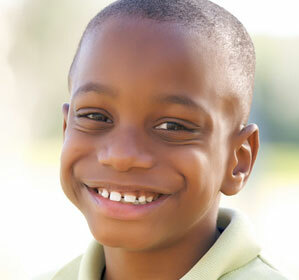 Some people believe that orthodontic care is only available for children and teens. Nothing could be further from the truth. In fact, it’s likely that some of your neighbors and coworkers are straightening their teeth right now, but they’ve opted for clear braces or aligners. Today’s orthodontic materials enable us to shift your teeth gently in a virtually invisible manner. This allows you to get the smile you’ve always wanted, without anyone noticing you’re undergoing treatment. What they will notice, though, is that you’re smiling more often and with greater confidence. It’s essential for you to understand what orthodontic treatment involves, and your care options, before committing to treatment. It’s equally essential that you find a practice where you know you’ll receive exceptional care that’s delivered by people you like and trust. We invite you to call and schedule a complimentary consultation at our Brampton, ON orthodontic office. We welcome patients from Caledon, Georgetown, and all surrounding communities. Everyone at Fernandes Orthodontics looks forward to helping you achieve a confident, healthy, and incredible smile! Please call to schedule your consultation today.